Sony cameras are very popular among the photographers, the fashion body, compact design and easy to use features make it excellent. Sony high-end cameras recorded videos are AVCHD format, this format is good to record high-definition videos, it’s great for us to use Sony cameras to record AVCHD footages when we travel or spend holidays. Do you have recorded many videos by Sony cameras? It’s usual to edit the videos before sharing with family or friends. But, you may encounter problems when you want to import Sony NEX-5N/NEX-7/A57/A65/A77 AVCHD files to Final Cut Pro for editing. You will find that you can’t import the Sony AVCHD 1080 60P files to FCP, from FCP official website we know that FCP can’t support 50P/60P videos. How to edit NEX-5N/NEX-7/A57/A65/A77 1080 60p AVCHD in FCP on Mac? 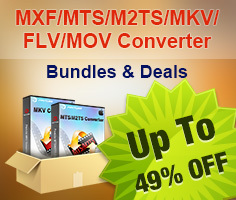 Pavtube HD Video Converter for Mac can help you. Final Cut Pro best format is Apple ProRes 422 MOV format, with Pavtube converter you can transcode NEX-5N/NEX-7/A57/A65/A77 to ProRes for editing in FCP smoothly. Just follow the guide below. 1. 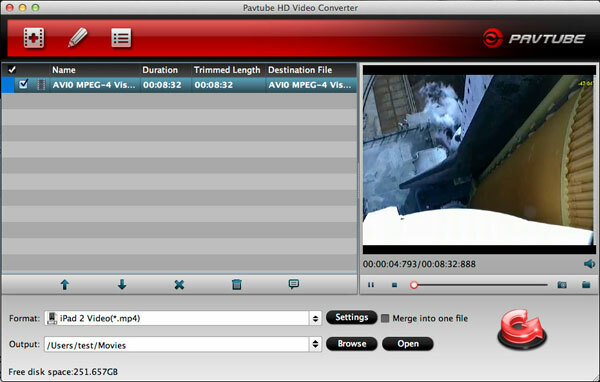 Download Pavtube HD Video Converter for Mac. Install and run it. 2. Import Sony AVCHD 1080 60P files to the converter. 3. Click format bar to choose format for output, you can choose Final Cut Pro -> Apple ProRes 422 (*.mov). 4. You can click settings button to adjust the output parameters, such as resolution, frame rate, etc. 5. 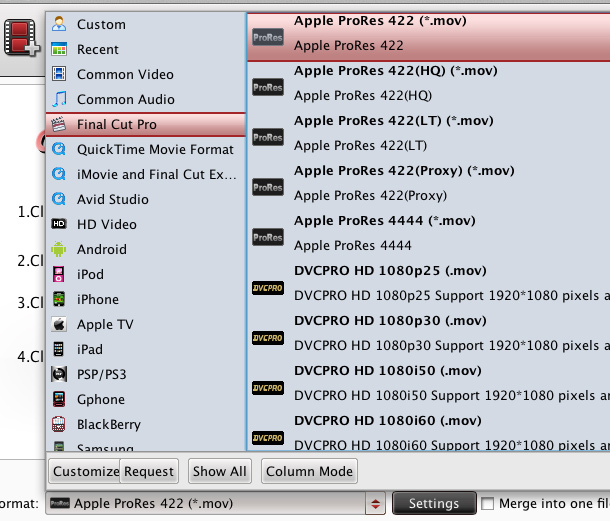 Click convert button to start converting Sony 1080 60P AVCHD to Final Cut Pro ProRes 422 MOV format. With Pavtube 1080 60P AVCHD to FCP Converter, you can easily convert AVCHD files to FCP supported files, video quality are guaranteed, just have a try.